Beehive Bedlam is an online reactor slot game developed by OpenBet. Many bonuses such as Beehive Bedlam Free Spins Bonus as well as a jackpot form a part of the game. Beehive can be played from 10 points on all platforms. Wins are decided by the set of five or more symbols. The player can win again and again as the winning symbols get replaced by new ones for every new spin. The aim of Beehive Bedlam is to pollinate a jackpot or more. The usual symbols are a daisy, a purple flower, the beekeeper, the bee, a pink flower, a red flower and a blue flower. The game has a free falls feature in which the player gets up to 15 Free Spins having Big Boss and Queen Bee symbols with higher value on the reels. This game has a special bonus round which can be triggered by the special bonus icons. 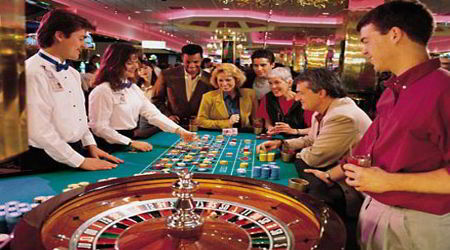 The player gets free spins in this round and the bonus can also be retriggered. Beehive bedlam has special Beehive Bedlam Free Spins Bonus icons that can trigger one of the following features in the Free Spins round. The queen bee and the big boss are also visible to the player in this round. 8 free falls for three symbols. 10 free falls for four symbols. 12 free falls for five symbols. 15 free falls for six or more symbols. The higher value queen bee and big boss symbols appear in this round and more such free falls can be activated by getting more sets of Beehive Bedlam Free Spins Bonus icons. The bees will fly across the screen on the last fall and the letters in word ‘Jackpot’ will drop. If the word gets completed, the player wins the progressive jackpot. To the left of reels, there is a honey jar that slowly fills up each time a set of beekeeper symbols land on the screen. A bonus game in which the player controls the bee as it flies across the screens and collects coins along with avoiding obstacles gets triggered whenever the jar fills up. The game has worlds where each world contains 10 islands. Completing the honey jar bonus moves the player closer to islands to complete a world and receive a prize. Beehive Bedlam is an amazing slot game with a good number of small wins. The Honey Jar bonus is guaranteed feature provided that you play consistently and long enough. With a good chance to retrigger bonus, the game is definitely a great entertainer.